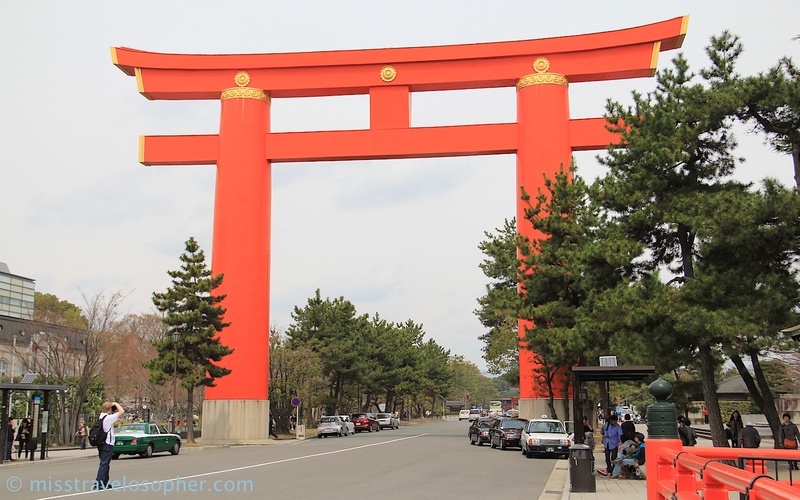 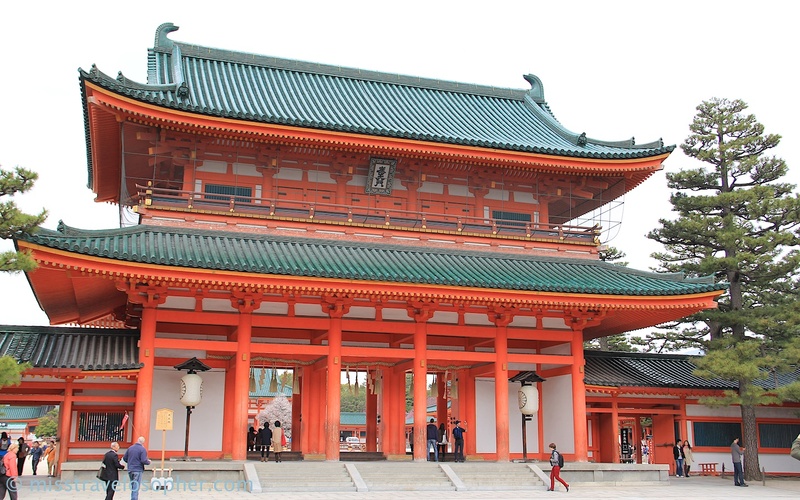 Heian Shrine (Heian Jingu 平安神宮) is a Shinto shrine and it is a popular cherry blossom viewing spot in Kyoto. 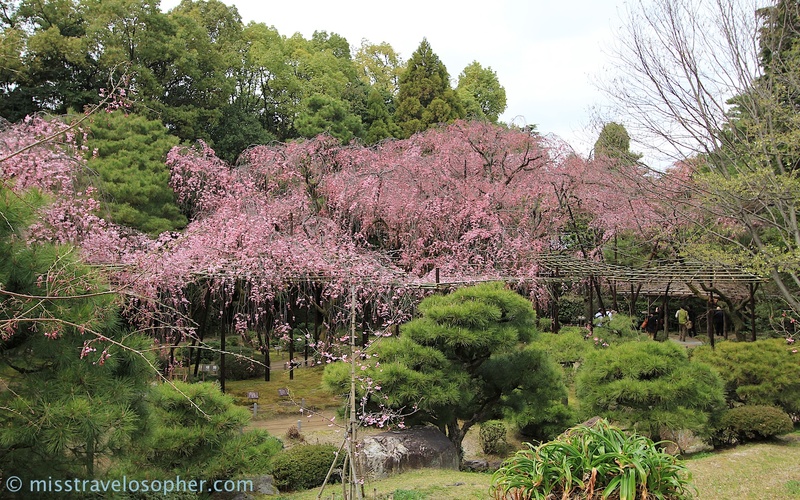 It boasts a large number of pink weeping cherry trees in the gardens on the shrine grounds. 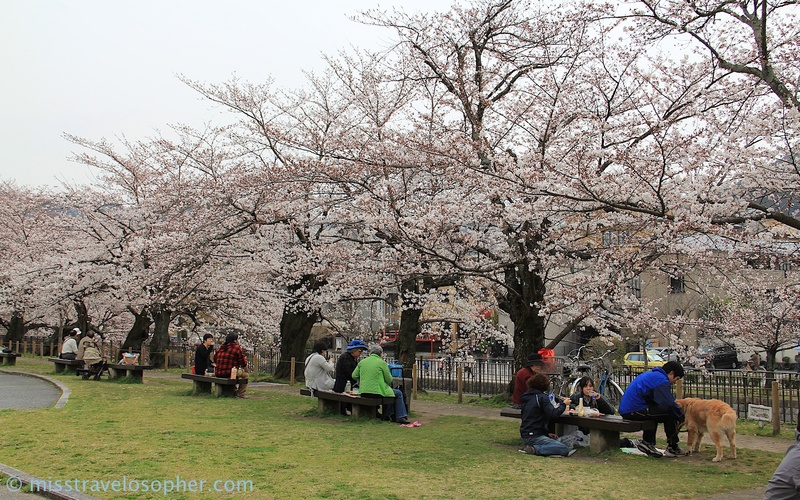 Typically, the cherry trees here tend to flower a few days later than the rest of the typical blooms. 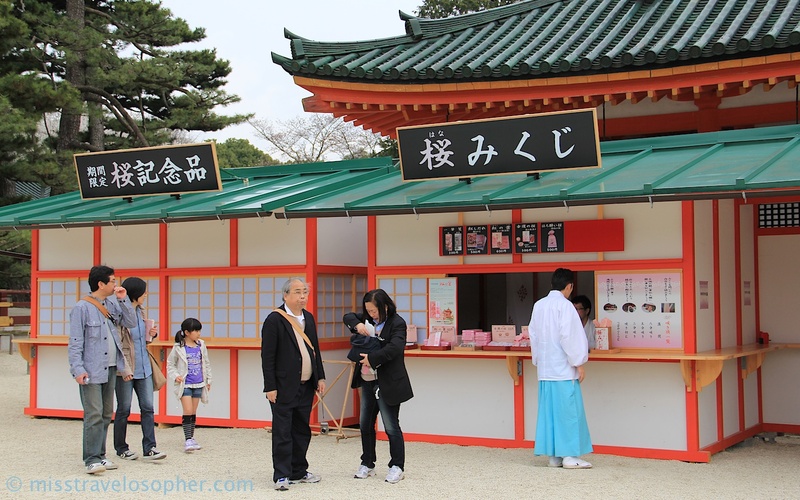 Hence, Heian Shrine is a good place to view sakura (桜) blooms for those who have missed the flowers at other popular spots. 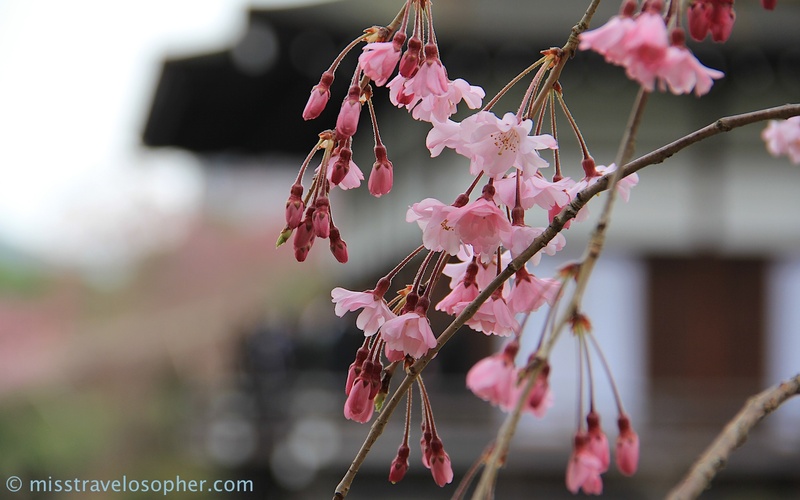 I was there 2 weeks ago when the sakura was nearing its peak at other spots in Kyoto. 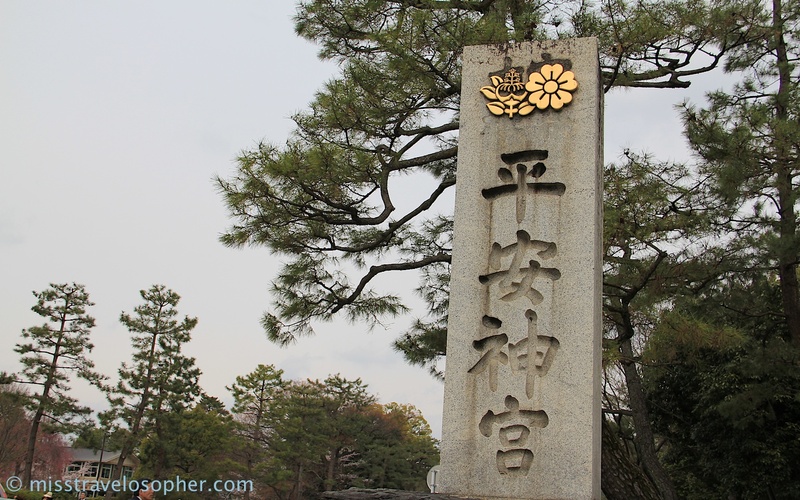 While the flowers at Heian were not at their peak form yet, it was still a pretty sight. 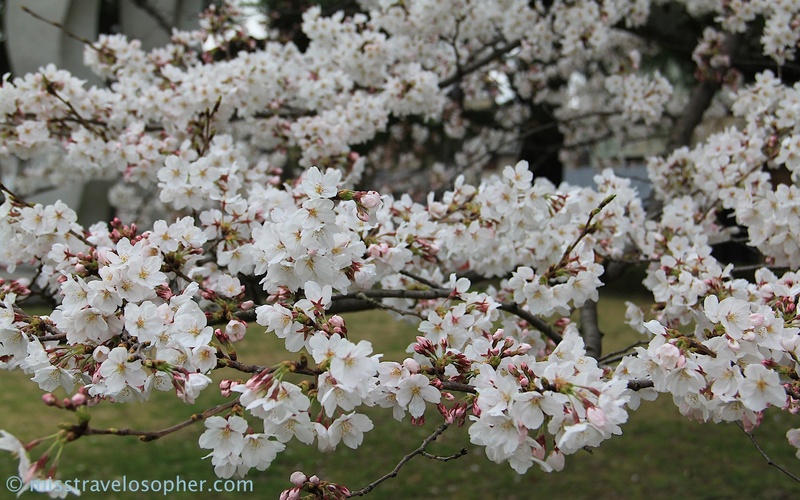 I love the pristine white color of the sakura blooms. 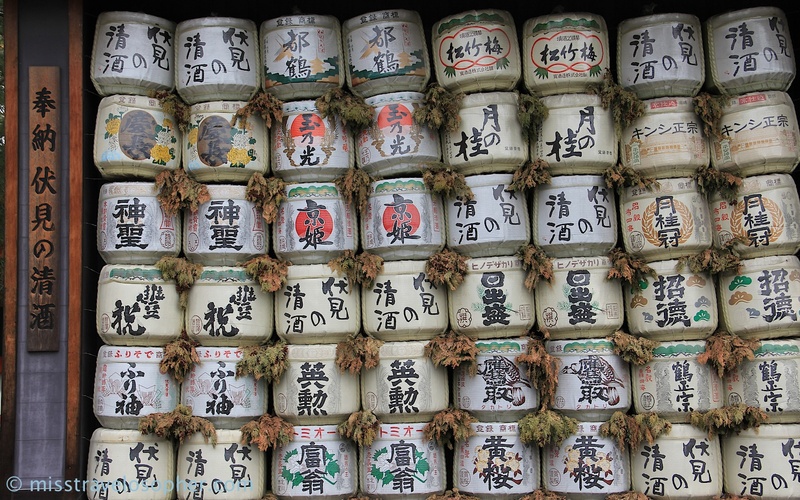 They look so pretty in a bunch! 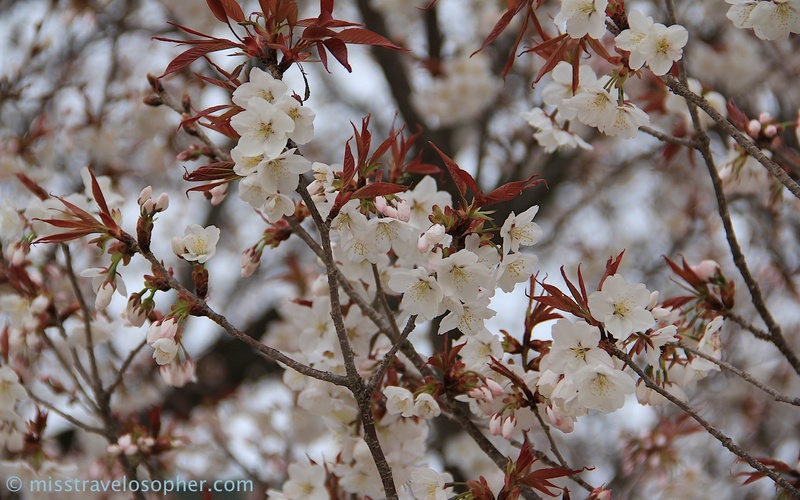 For the first time, I saw the yamazakura type of cherry tree where the leaves appear at the same time as the blooms. 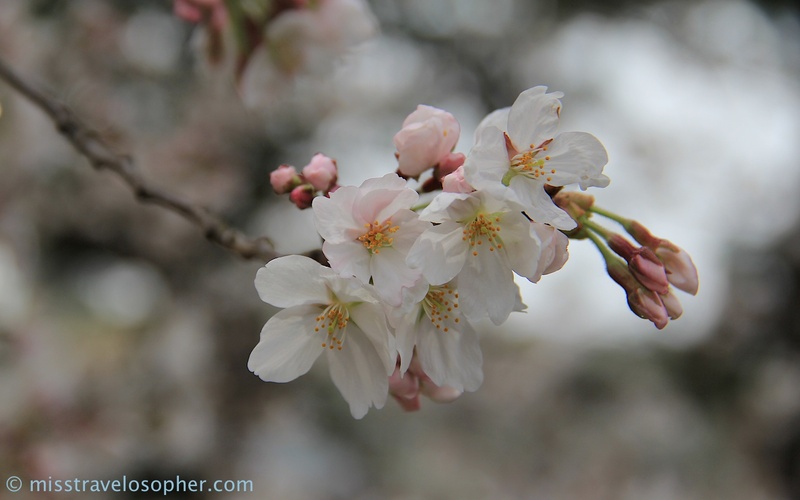 Because of the appearance of the leaves, the blossoms looked less intense as compared to the other varieties where the fresh leaves only appear after the blooms have reached their peak. 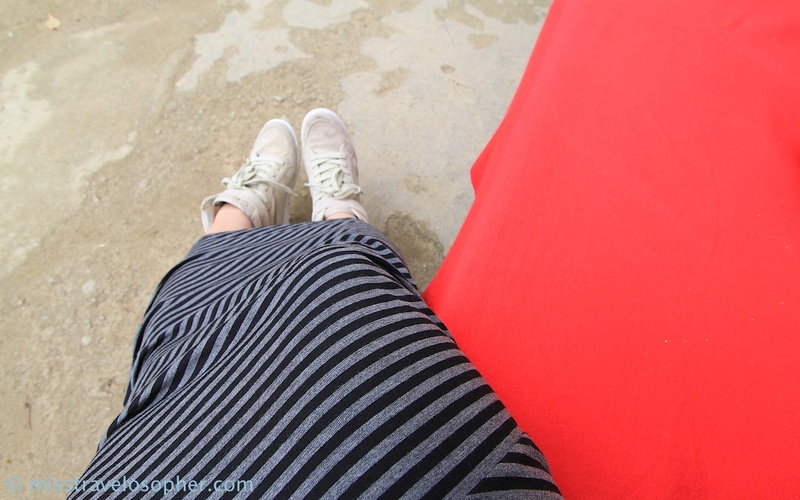 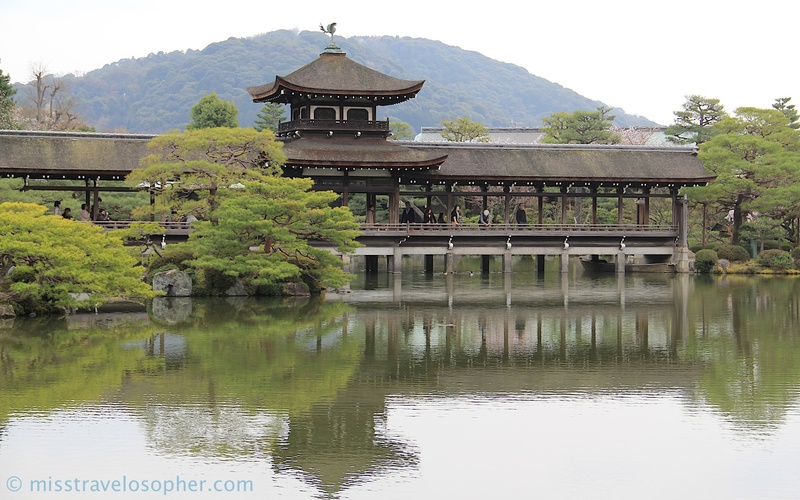 As I continued to walk through the vast garden compound, I reached the lake of Heian Shrine. 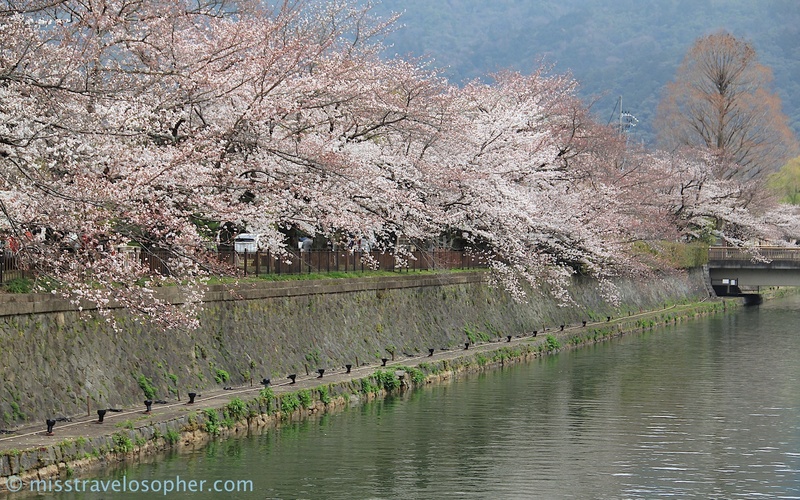 The lake was lined with pink weeping cherry trees. 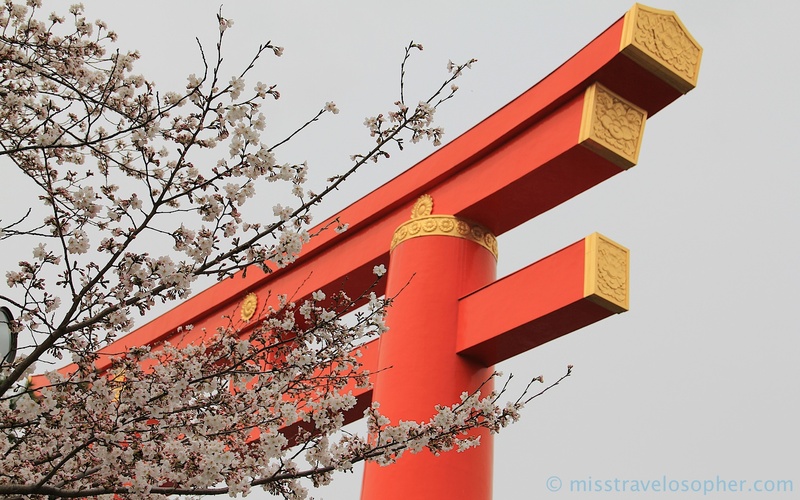 Overall, Heian Shrine is a great place to view cherry blossoms in Kyoto! 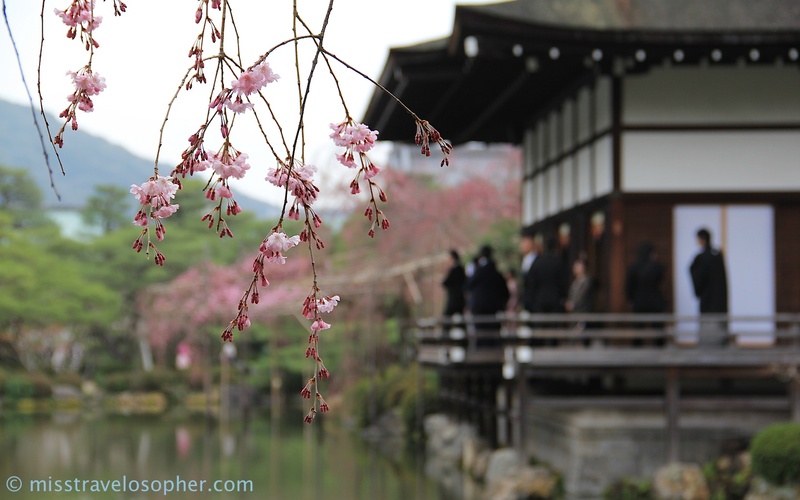 However, if I go again I will time it appropriately to meet the peaks of the pink blooms at Heian. 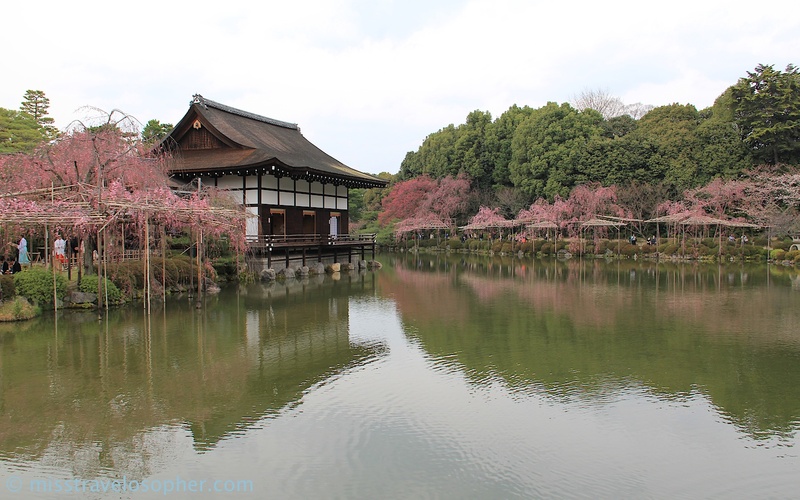 Apparently when the pink blossoms are at their best, there are night illuminations with classical music concerts held at Heian Jingu. 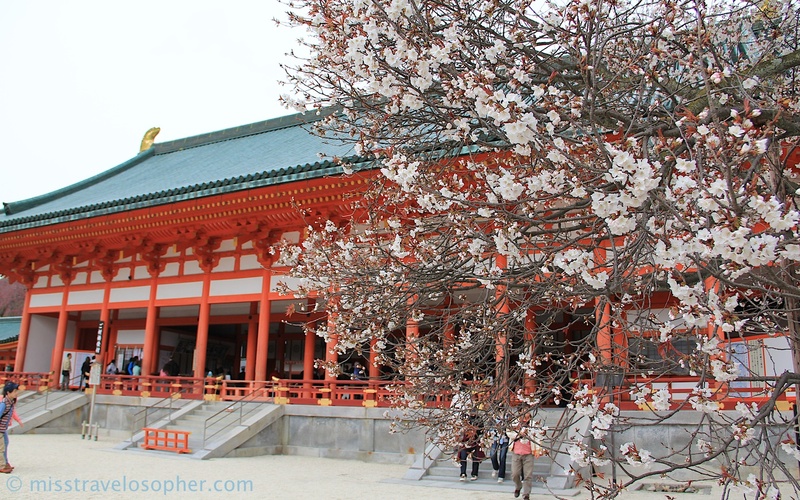 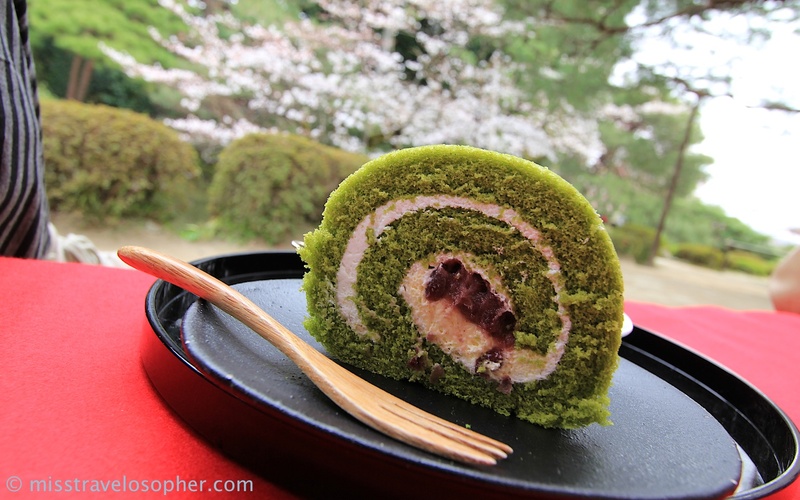 Hey miss, is the 25th of march’14 a good time to visit heian shrine for all its cherry blossom? 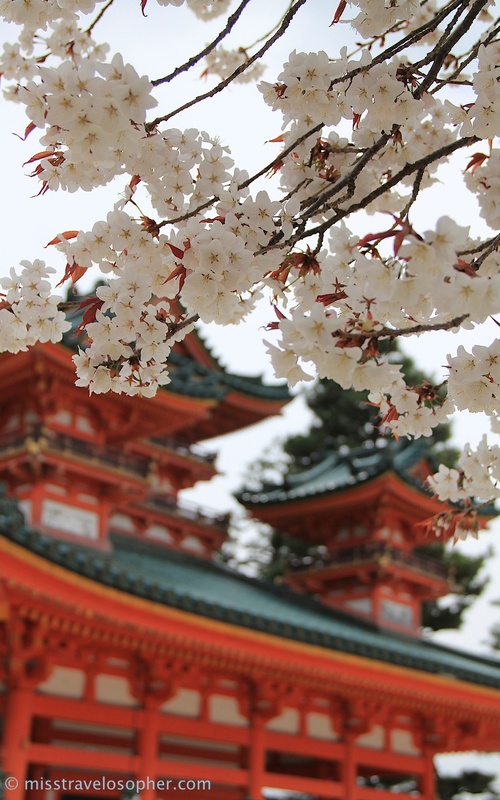 Hi Eric, based on the past sakura blooms at Heian Shrine, the blooms are unlikely to have peaked in end March. 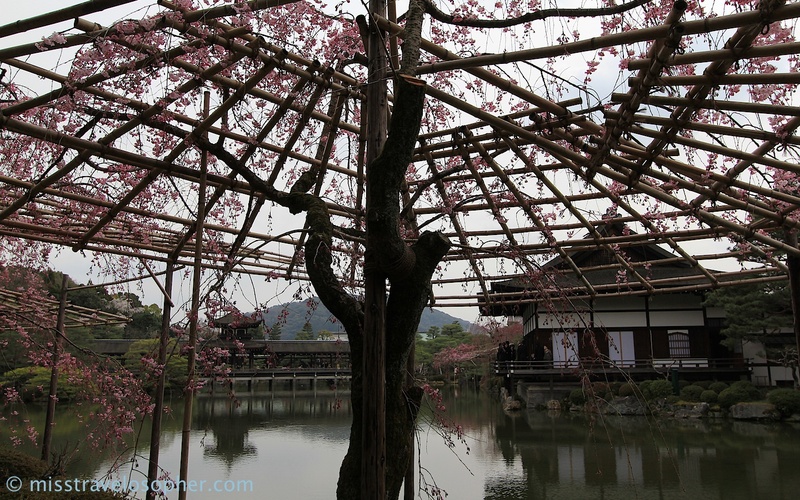 The pink weeping sakura trees at Heian typically start to bloom from end March, peaking in mid-April. 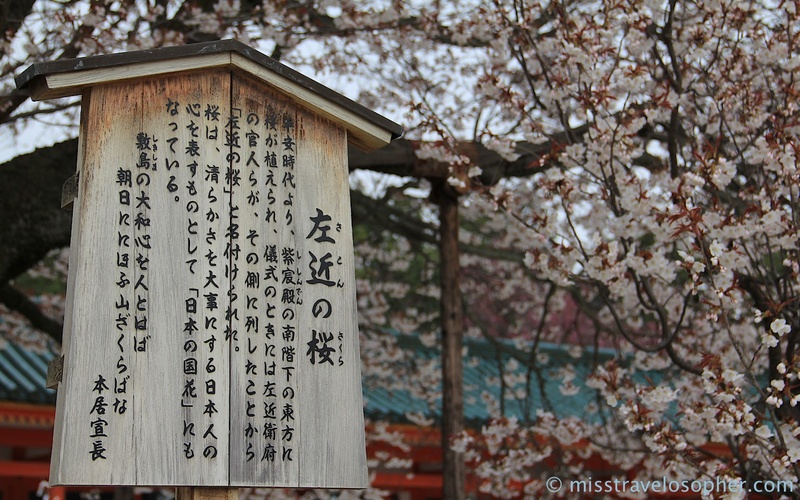 It is worth noting that the sakura at Heian blooms later than sakura at other places. 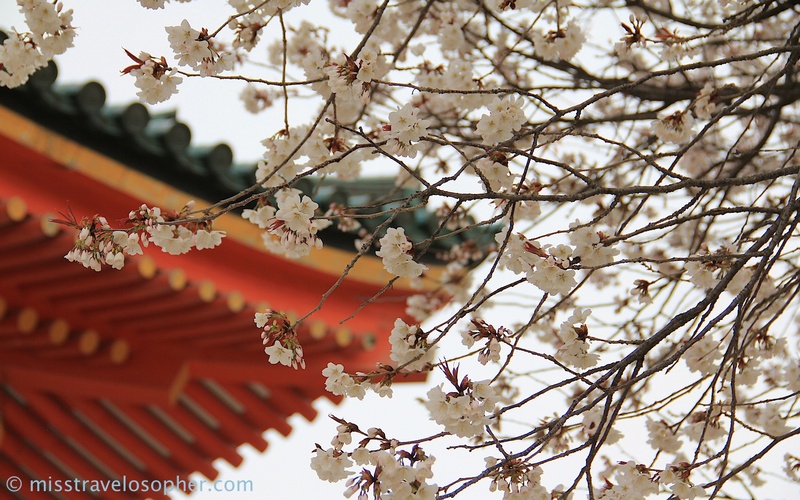 That said, all these dates are high dependent on weather and hence if you are booking your tickets now, it will be up to luck if you manage to bump right into full bloom!